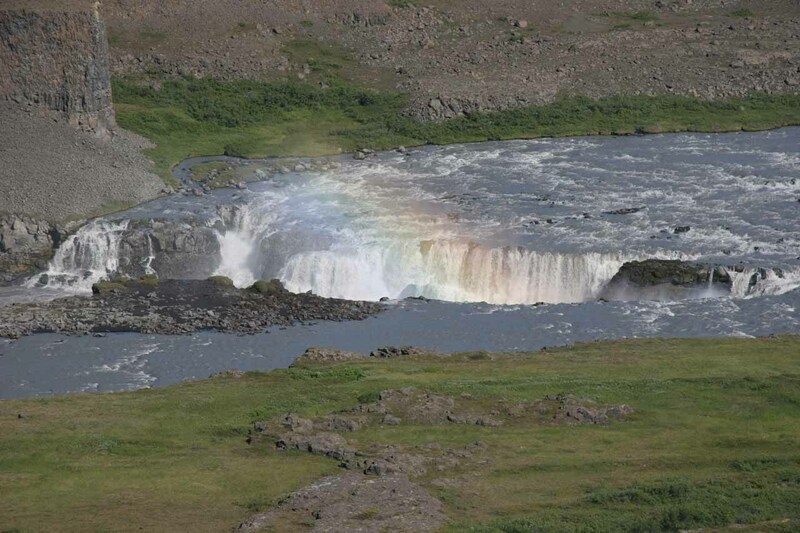 Urridafoss (Urriðafoss; I think is pronounced “OOR-ri-thuh-foss”; meaning “Trout Falls”) was a cascading waterfall flowing on a tributary of Jökulsá á Fjöllum amongst foliage in the Hólmatungur section right next to the cut in the chasm at Katlar. 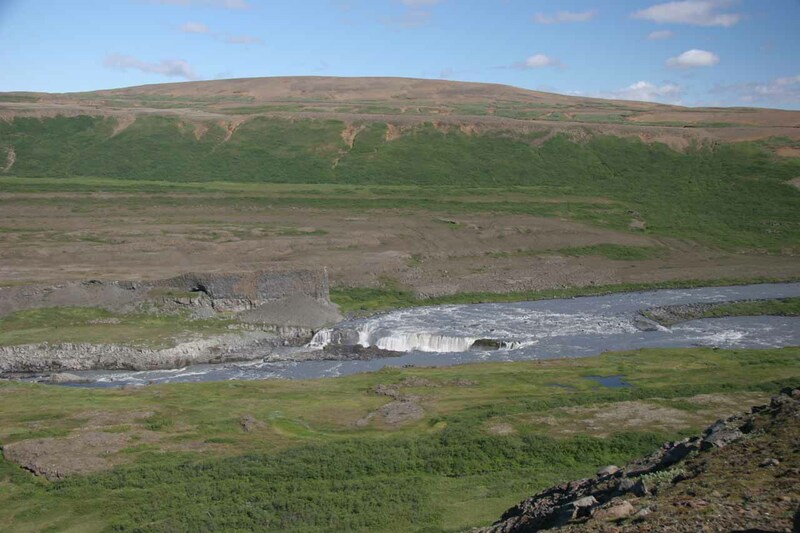 To be honest, I wasn’t totally sure that what I’ve photographed on this page was the correct falls, but it was the only one of any size that we saw while walking the Katlar loop, which our GPS mapping pre-trip waypoint suggested that it was supposed to be here. 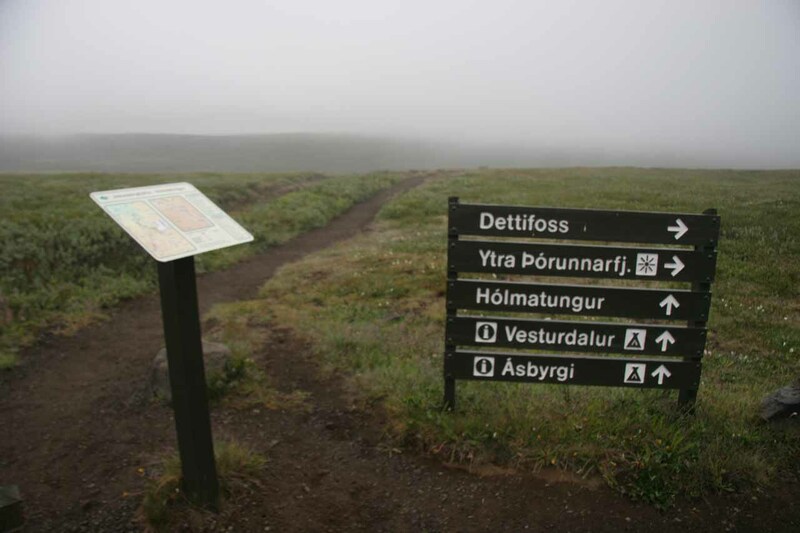 Further reinforcing that might lead us to believe we were correct in associating this falls with Urriðafoss was that a map sign near the car park confirmed what our pre-trip waypoint said. 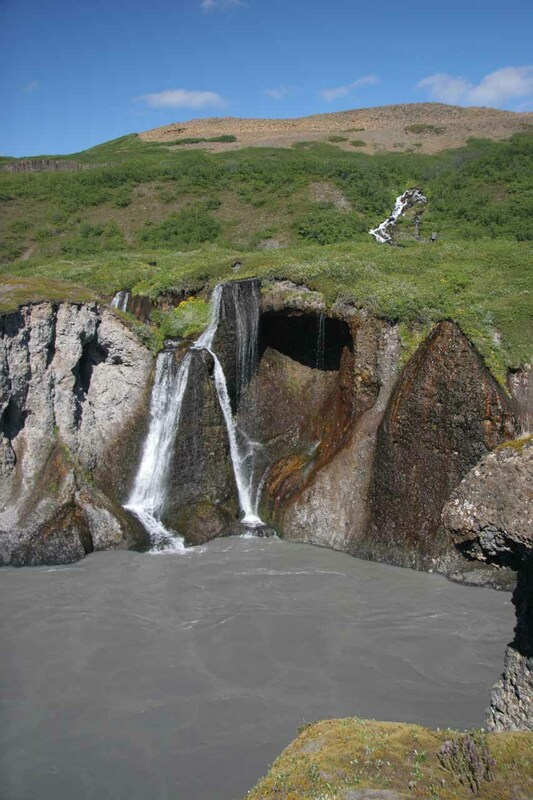 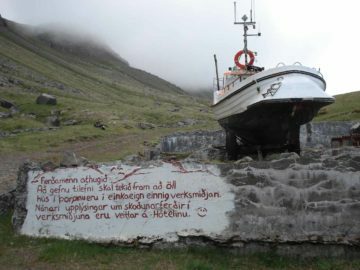 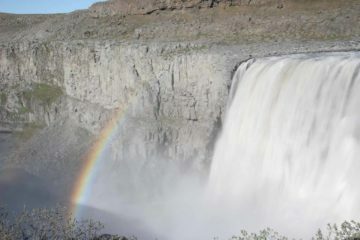 By the way, this waterfall should not be confused with the wide river waterfall on the Þjórsá River in Southern Iceland. 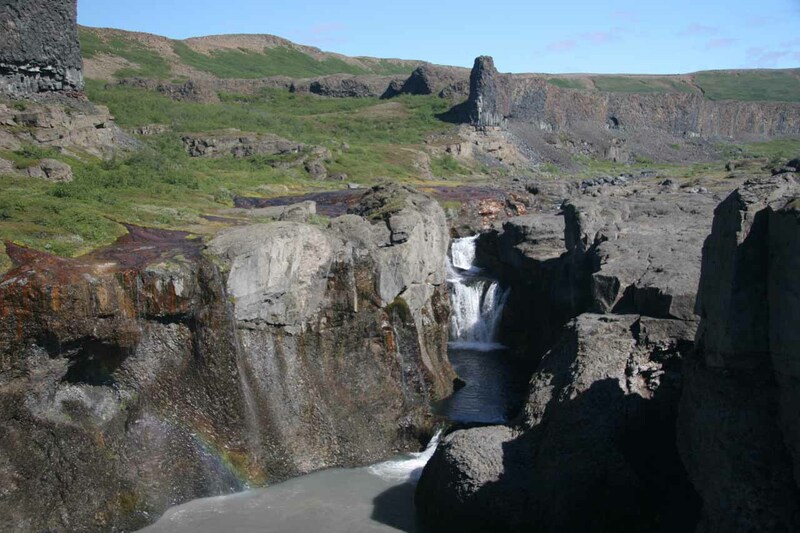 In order to view this waterfall, we had to walk a 2.4km loop from the car park (see directions below) to Katlar. 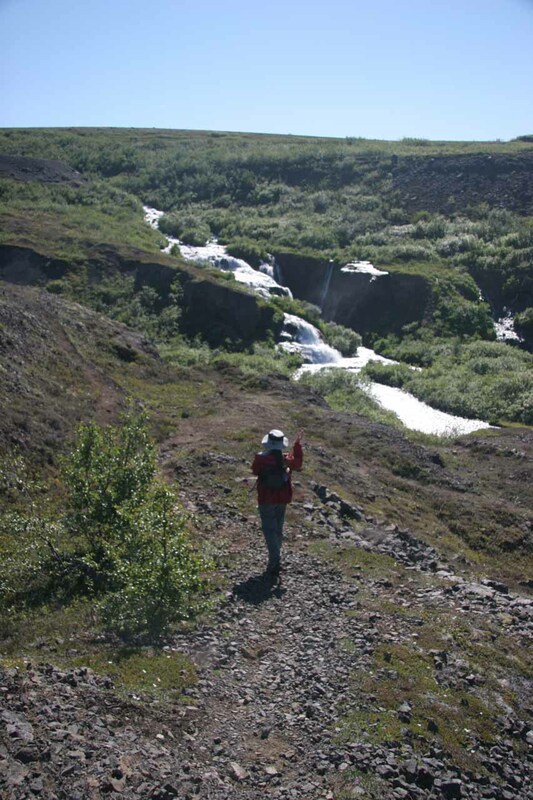 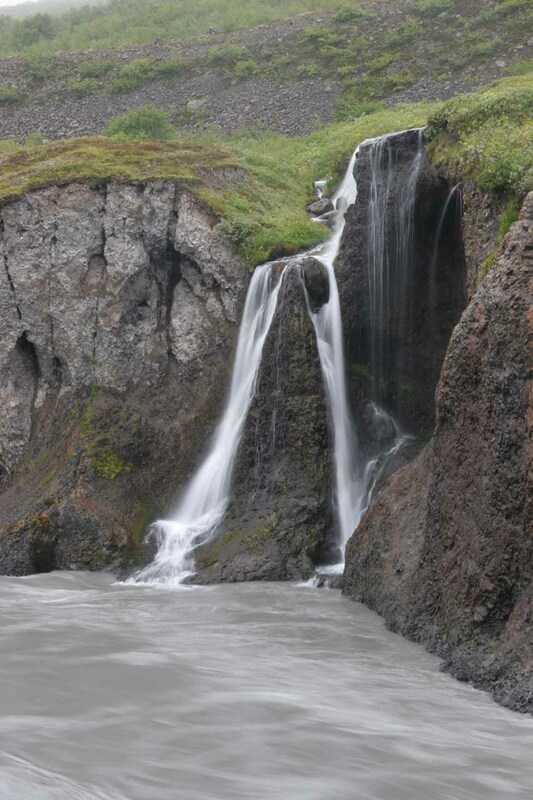 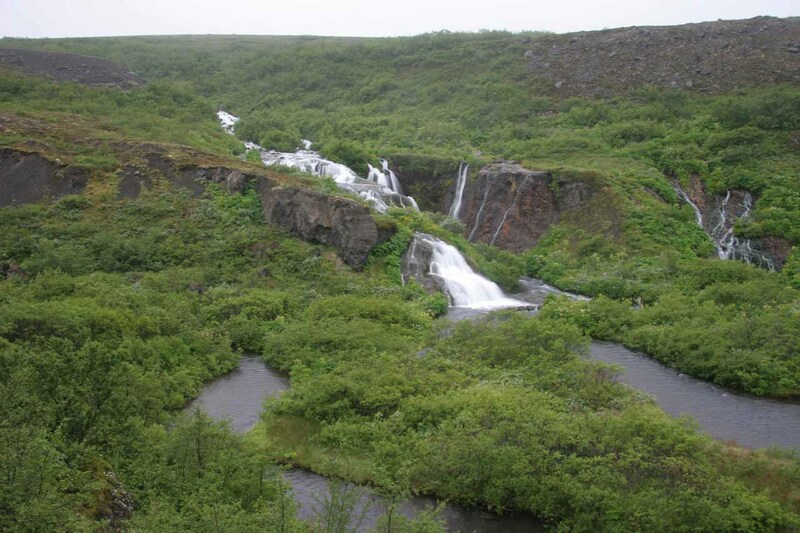 We walked this loop in a counterclockwise direction so when we were leaving Katlar and headed back out to complete the loop, that was when we finally noticed this cascade (which we initially didn’t realize was Urriðafoss until we looked at our maps after the trip). 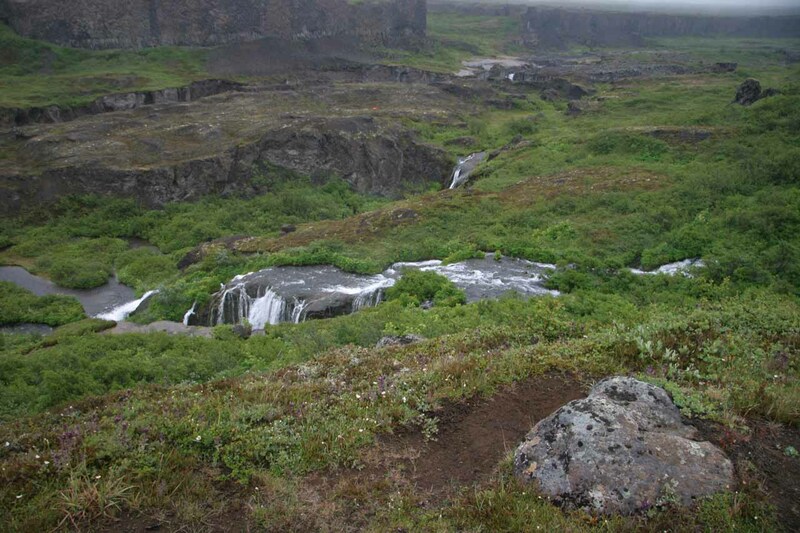 In addition to this waterfall, the Katlar area was also very interesting there were a handful of waterfalls seeping into the maze of rifts and fractures within the small gorge. 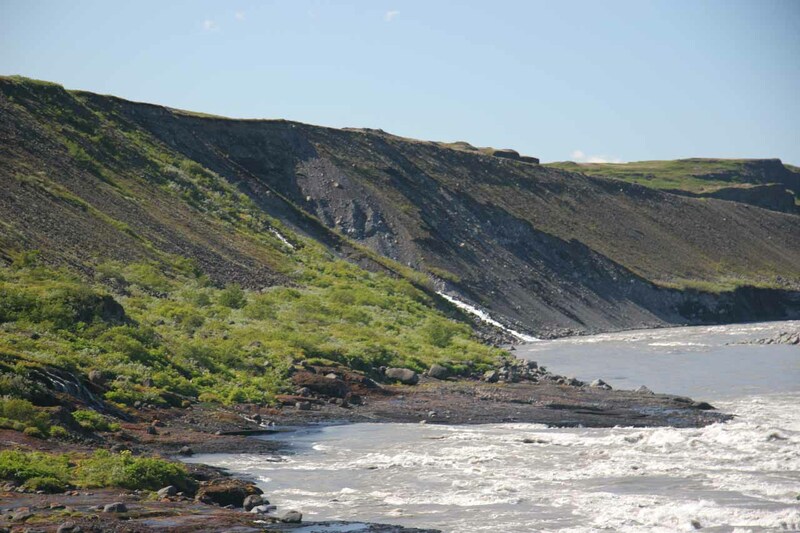 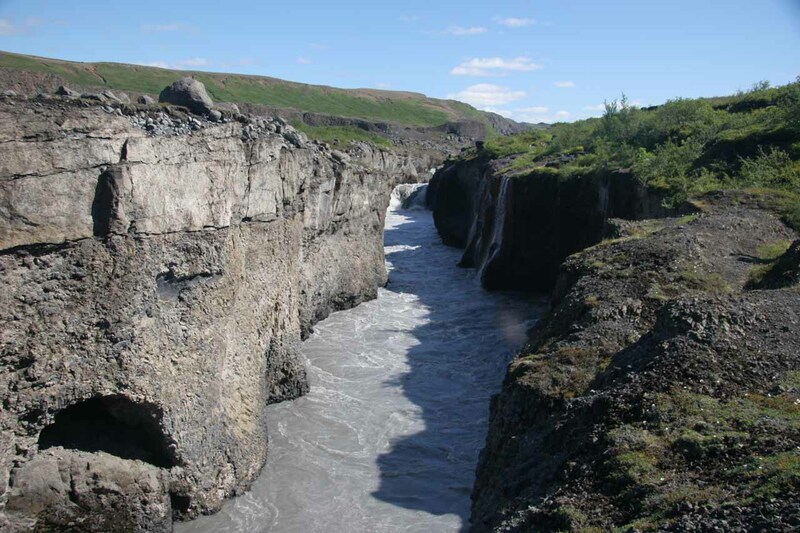 As we walked amongst this beat up landscape, we found ourselves walking on narrow “peninsulas” or protrusions into the mini-gorge allowing us to better appreciate the power of the Jökulsá á Fjöllum River. 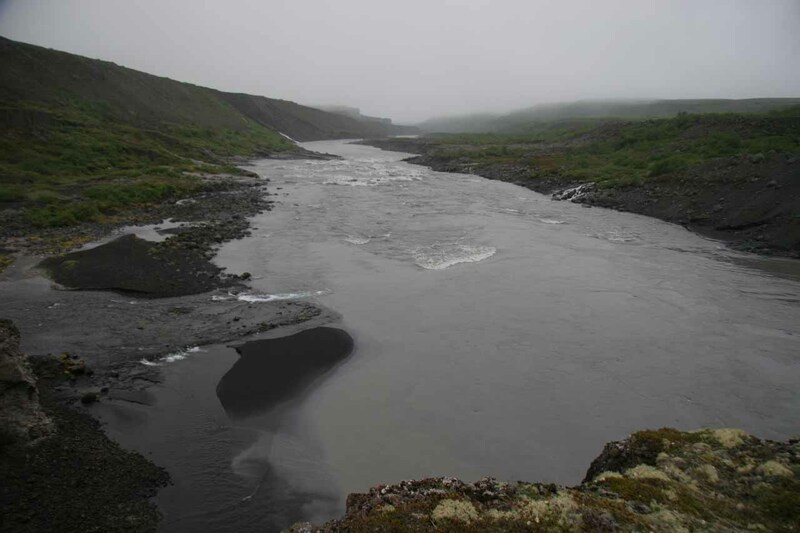 As we looked downstream, we could see the canyon Jökulsárgljúfur open up once again while we could also see a sliver of Hólmarfossar in the distance. 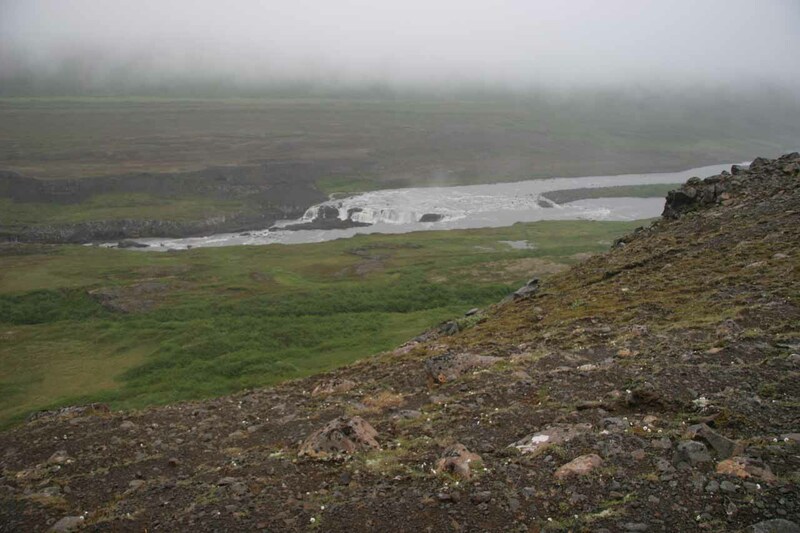 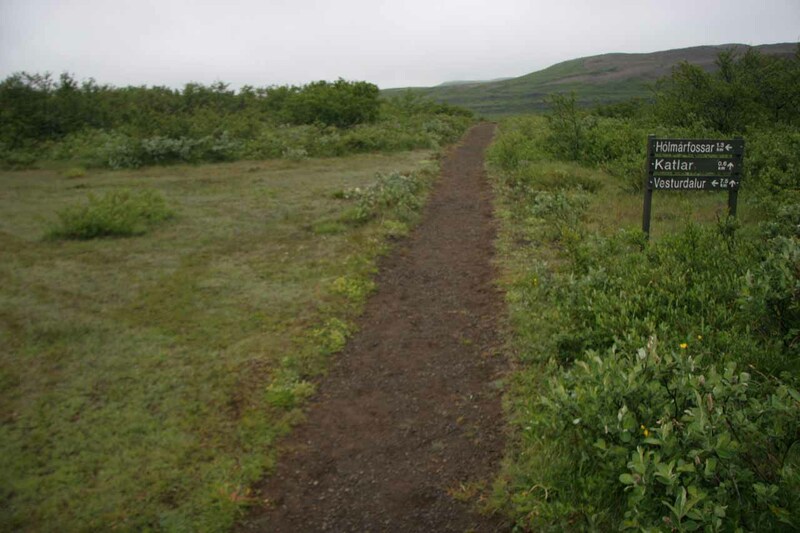 Back at the car park, there was also a trail that went uphill to the right (in the upstream direction towards Dettifoss). 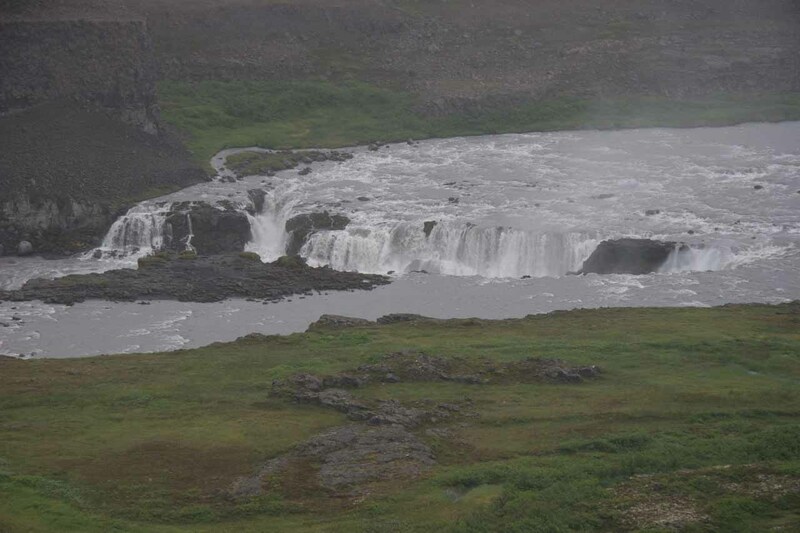 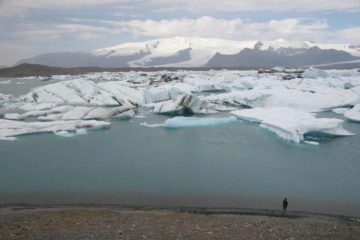 About 400m from the car park near the top of the climb, I was able to get views of the impressive Réttarfoss (“Folded Falls”? 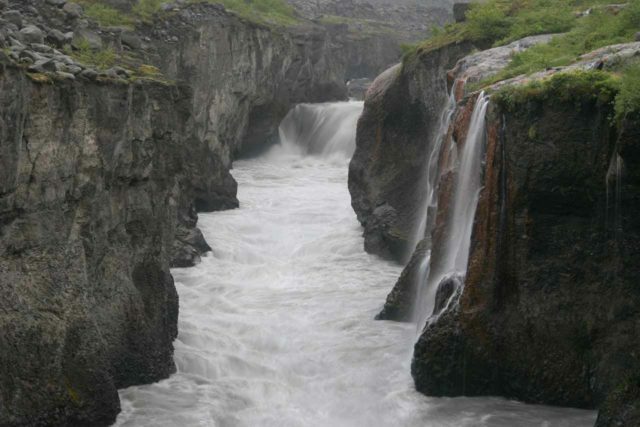 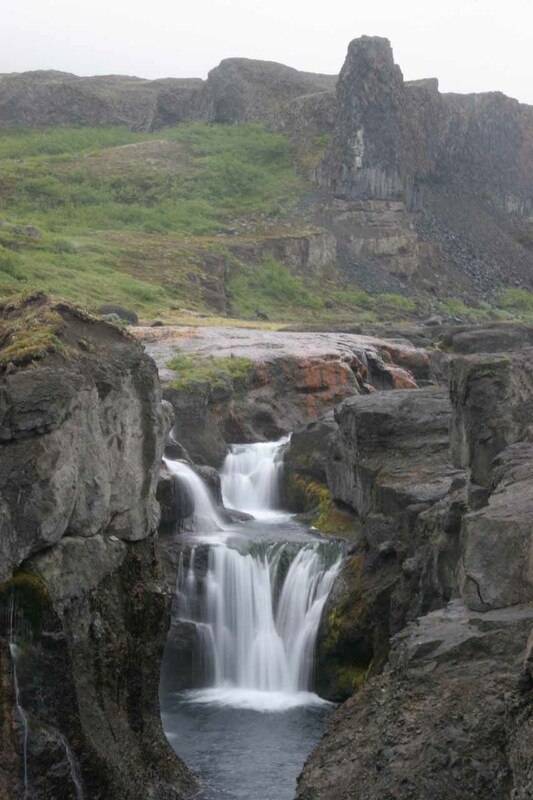 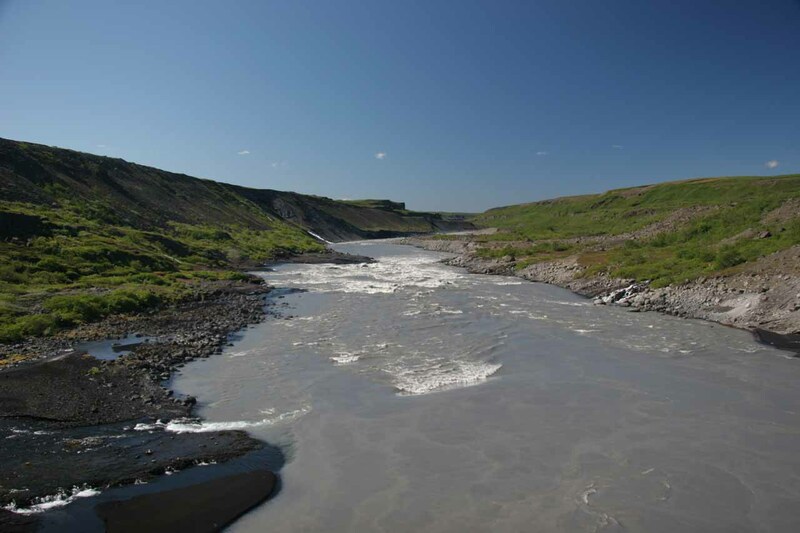 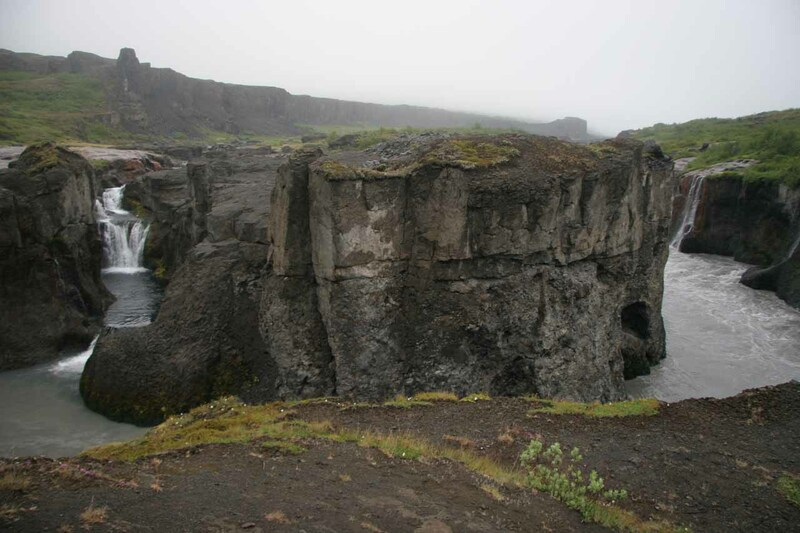 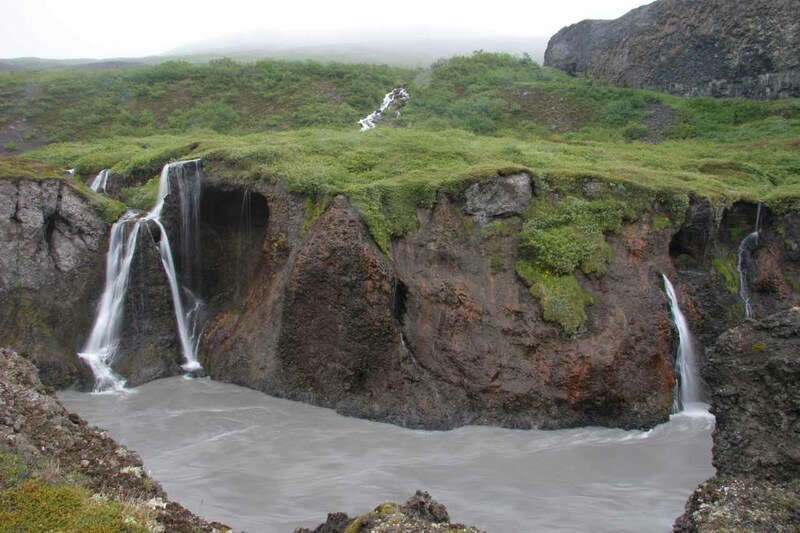 ), which was a short horseshoe-shaped waterfall similar to Selfoss. 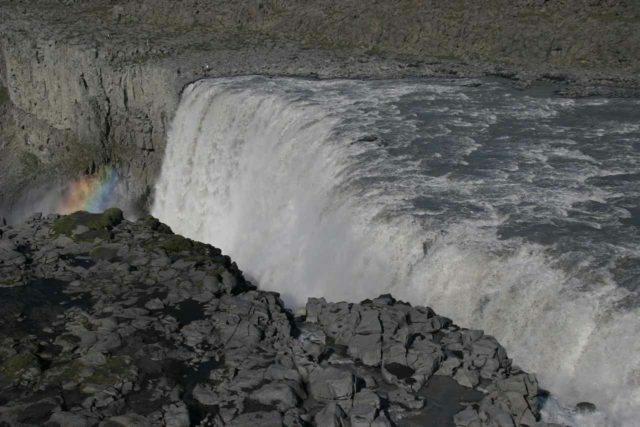 Unfortunately, the view of the falls from here was rather distant and only from the top down so I had to look closely to really appreciate that there was indeed a major waterfall down there on the Jökulsá á Fjöllum. 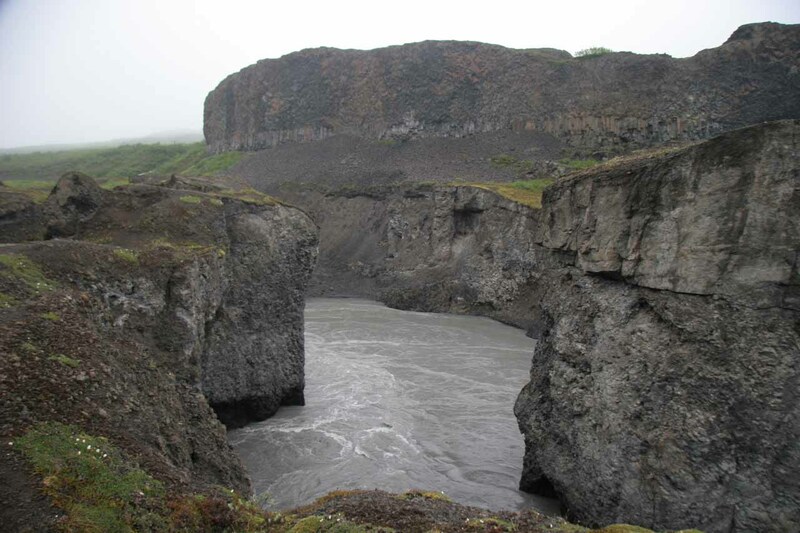 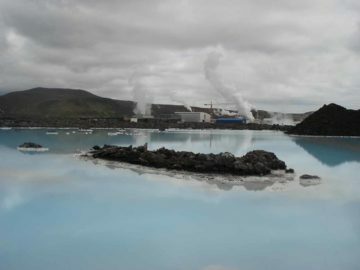 Access to Urriðafoss (as well as the waterfalls found in Katlar) is the same as that for Hólmarfossar, which is at the Hólmatungur car park. 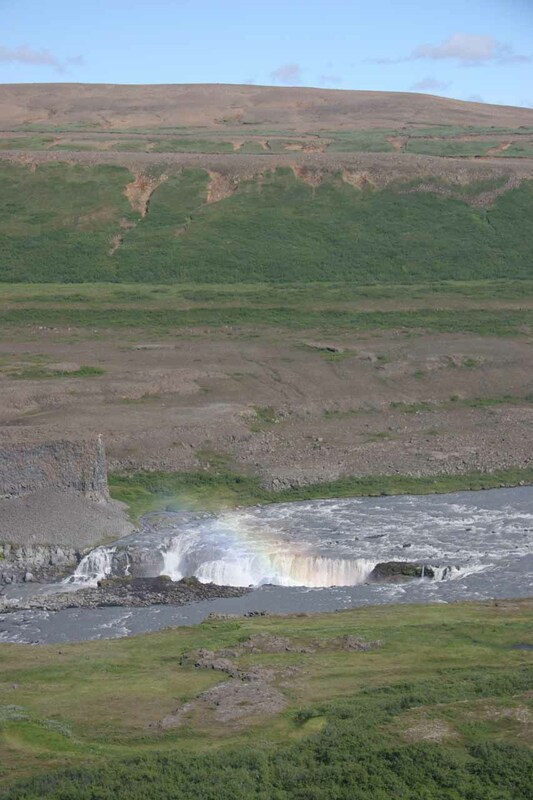 That car park is about 6km north of the Dettifoss west bank car park.